On the hunt for patterns for your Spring/Summer ’18 collection? 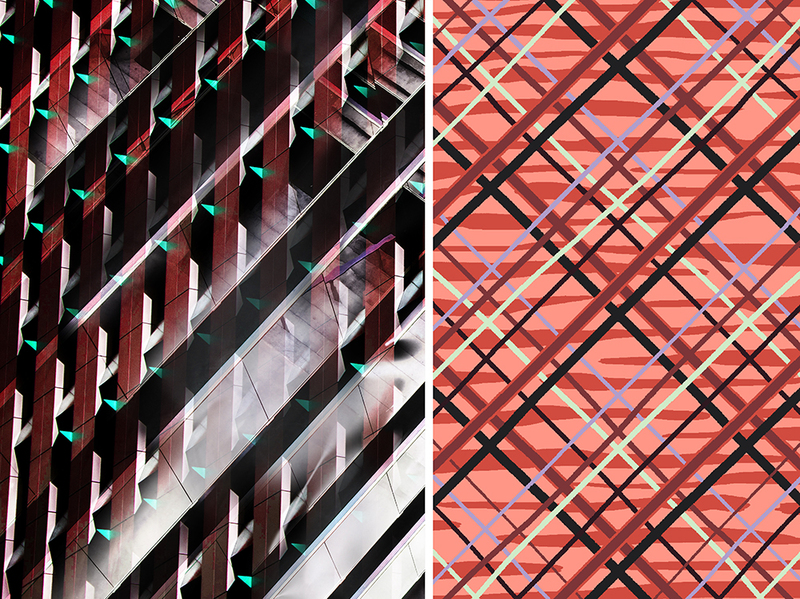 Pattern Observer Studio has you covered. In this post we explore a few of the biggest pattern trends that should be on your shopping list this year, and how they can pair together to create a cohesive pattern direction for your brand’s S/S ’18 offerings. Access all of our key pattern trends for the Spring/Summer ’18 season in our FREE Spring/Summer 2018 Pattern Shopping Guide! Let’s start with the basics. Every pattern collection needs a solid foundation to build from, something that appeals to a wide range of customers–usually this means stripes and plaids! Plaids in particular are everywhere on the Fall ’17 runways and we see no signs of them letting up for Spring/Summer ’18. To give these simple pattern styles a refresh for S/S ’18 we recommend looking at layered styles that give a feeling of depth, and those that incorporate texture and pops of pattern. Pattern Observer Studio’s not-so-average plaids will provide the perfect foundation for your collection. 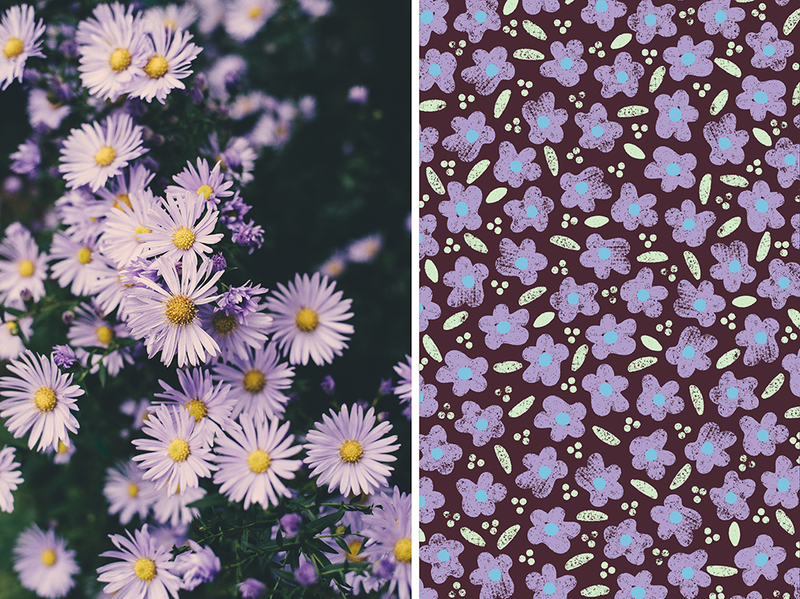 Next up, we look to eternally popular florals, but with an eye on how they are being used in terms of layout. Free-flowing floral layouts with lots of open ground are trending, and can be taken in a variety of directions depending on your customer, from trendy tropical florals and leaves to more classical styles like roses. In particular we see these flowing layouts featuring large scale florals for S/S ’18. 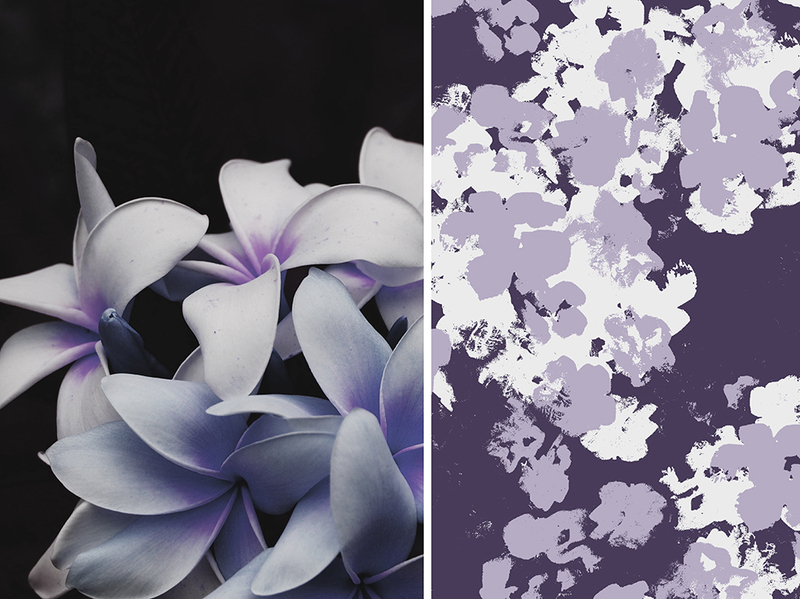 Incorporating a free-flowing layout is a great way to add movement to a collection, and the large scale florals are sure to catch your customer’s eye on the sales floor. Two of the most important elements for a winning collection are variety in scale, and variety in layout types. If every pattern were a mid-scale tossed layout, it wouldn’t make for a very interesting collection–a healthy mix is important to give the most visual impact on the rack! With that in mind, we are also recommending ditsy florals as an important addition to your S/S ’18 collection. These tightly-packed small scale florals are a major player in the ongoing 90’s revival and we see them still going strong for Spring/Summer ’18. Ditsy florals are hugely versatile and can be tailored to suit a wide range of customers, from the festival crowd seeking floral slip dresses, to a more conservative customer hunting for an office-appropriate blouse. We see potential in the activewear market as well, with sweet ditsy florals being used in panels of leggings to juxtapose and soften edgier elements like mesh and color blocking. Wondering what else should be included in your collection? Access the rest of our 5 key pattern trends for the Spring/Summer ’18 season in our FREE Spring/Summer 2018 Pattern Shopping Guide!